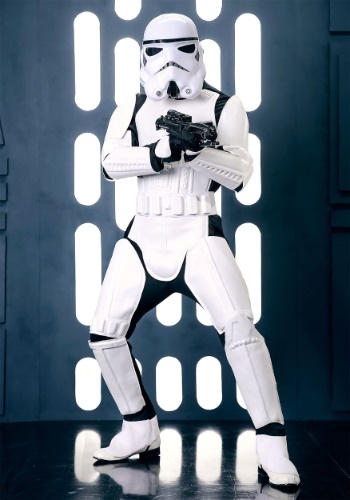 When you step into a room at any party in this Realistic Stormtrooper costume, people will surely look twice. 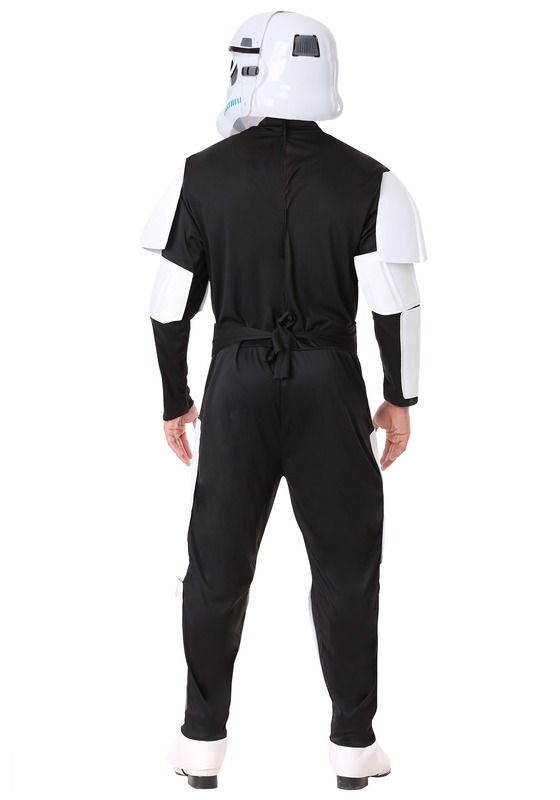 The uniform is comprised of a high quality black polyester jumpsuit with EVA foam armor pieces sewn on. These pieces include: shoulder flaps, chest plate, arm and thigh sections and shin guards. The chest plate is molded to replicate the controls seen in the films. In addition, the two-piece white PVC mask has realistic printed detail and features nose and mouth openings. 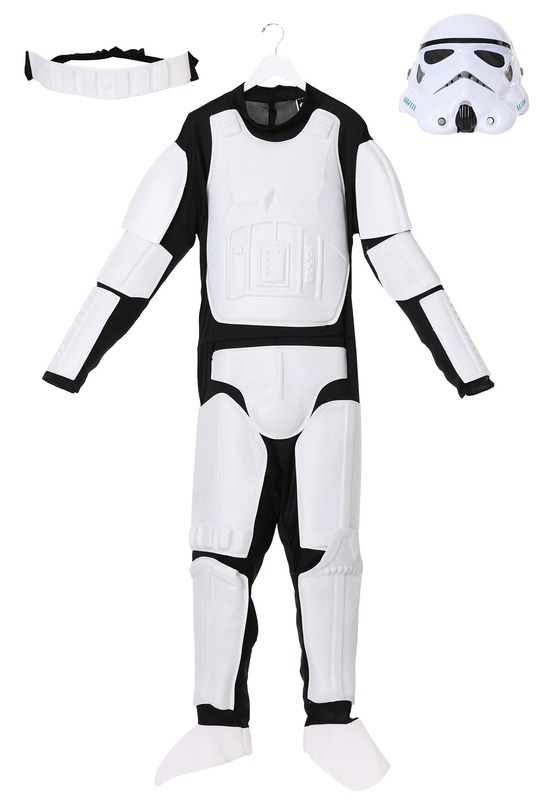 A white rubber utility belt is also included. 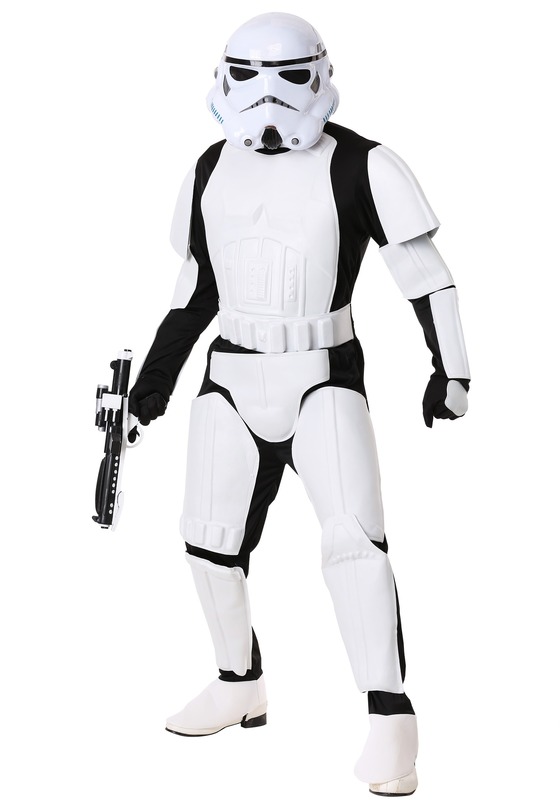 Have a great time at your next event with this realistic Stormtrooper costume. 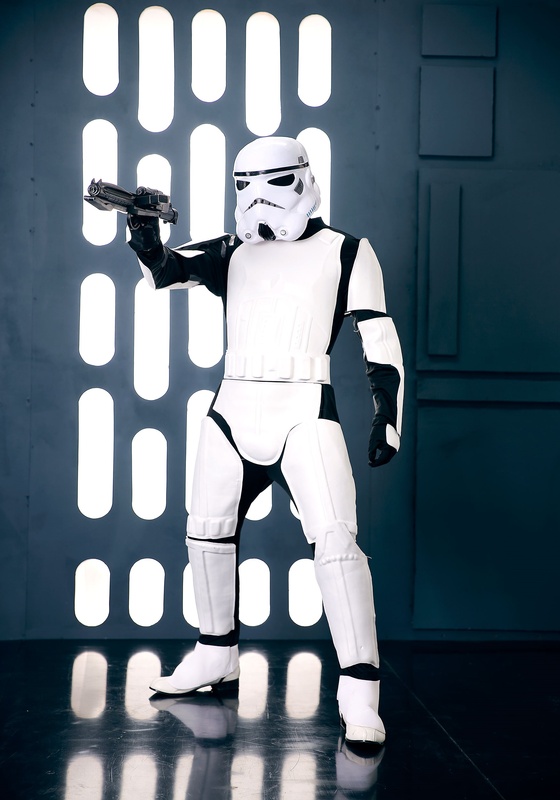 Arm yourself with a Stormtrooper blaster from our accessories!